Regularly going to your local pub makes you happier, healthier and more sociable, new research from Oxford University has found. Previous research has shown that face-to-face meetings are vital to maintaining friendships, but the beneficial role that pubs have in this has now been measured for the first time. Friends on Tap, the study funded by the Campaign for Real Ale (Camra), shows that people who use “local” pubs near where they live or work tend to have more close friends. It says that pubs help to provide a strong social network that improves happiness and overall health. “Making and maintaining friendships is something that has to be done face-to-face; the digital world is simply no substitute”, the report’s author, Professor Robin Dunbar, said. Furthermore, researchers from the Department of Experimental Psychology at Oxford University found that smaller “community style” pubs are better than larger city-centre pubs for maintaining more close friends. While people who regularly go to large pubs tend to have a larger social circle, they have fewer close friends than drinkers that frequent small local pubs, they found. The study also makes a strong claim that goes against the controversial new UK drinking guidelines, saying that moderate alcohol intake has strong physical and mental health benefits. “A limited alcohol intake improves wellbeing and some (though not all) social skills, just as it has been shown to improve other cognitive abilities and health, but these abilities decline as alcohol intake increases beyond a moderate level”, a statement accompanying the report said. A nationwide survey of pub-goers formed the basis of the research, which found that only 22% of people have a local pub that they regularly attend. 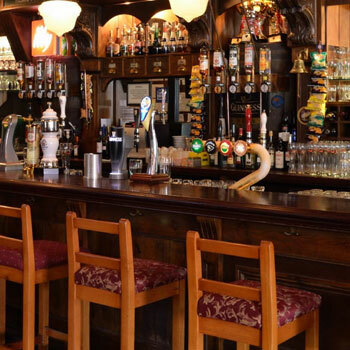 The researchers, led by evolutionary psychologist Professor Robin Dunbar, defined a “local pub” as being a pub where the respondent knows the landlord and other customers personally. Northern Ireland has the smallest proportion of people that regularly attend a “local” pub, with just 10% answering positively. Scotland has 18%, and the highest proportion is in Wales (31%) and the Northeast (33%). Camra chief executive Tim Page said: “Pubs offer a social environment to enjoy a drink with friends in a responsible, supervised community setting”.